Walk alongside a 4word mentor as you navigate your career, family and faith. This ten-week program pairs you one-on-one with a Christian woman in the workplace who will partner with you to help you achieve your goals. Now only $299 for women with over 10 years of professional experience. What might you accomplish with someone wise to guide you? 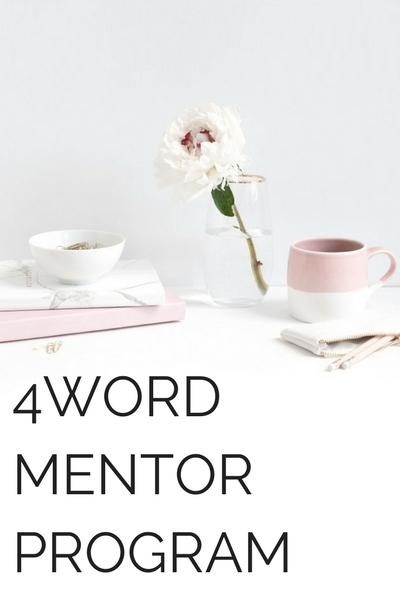 4word Mentor have faithfully walked the path of navigating faith, family and career. Now they want to walk beside you. God never intended us to do life alone. Instead, He directs us toward relationship – the place we receive the encouragement we need to take our next step with confidence. We created the 4word Mentorship Program because we have met too many Christian women in the workplace who feel isolated. The program springs from our central mission: to connect, lead, and support women in the workplace to achieve their God-given potential with confidence. We truly believe connecting women through mentoring relationships is one of the most valuable ways we can fulfill this mission. And as the largest network of Christian women in the workplace, we are in the best position to serve as mentorship matchmakers! Similar programs delivered in a corporate environment cost $699 or more. 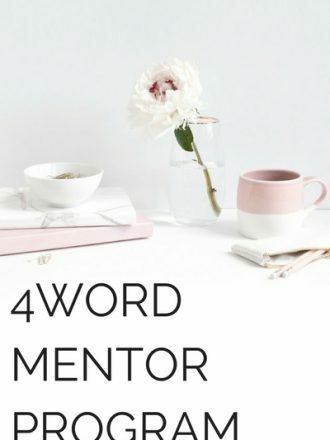 At 4word, we leverage our network of incredibly gifted mentors to provide you the opportunity to invest in yourself at a fraction of the cost. i cant seem to be able to launch the check out page for me to enter my credit card details. could you send me the link to the check out page for the Mentorship program $299 pl? I’m unable to generate the page where I enter payment information. Is someone able to send me the payment page link and I can process payment for $299? Thank you! Hi, I completed my application for the Mentor program, but when I went to check out, there was no payment page. Can you help — thanks! I paid about 30 minutes ago but order is still “processing” and I am unable to register. Thanks!